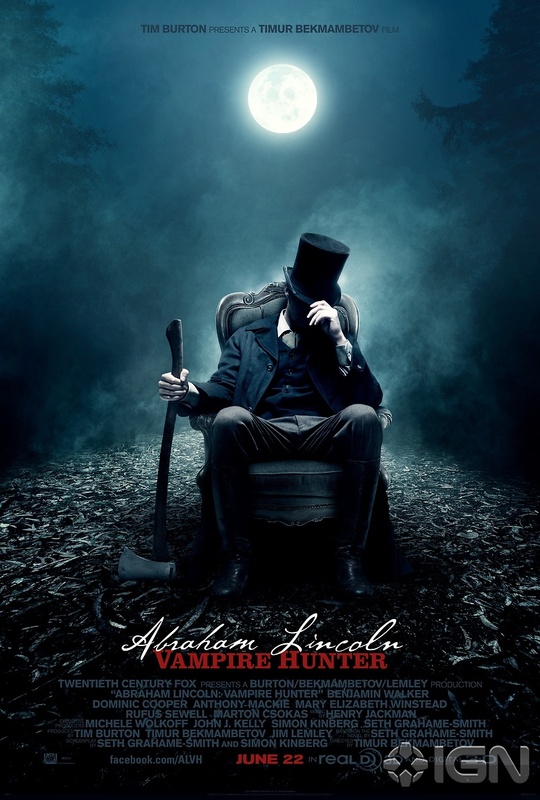 Abraham Lincoln: Vampire Hunter DVD and Blu-ray release date was set for October 23, 2012. Add “hunter of the undead” to President Lincoln’s long list of accomplishments, as Honest Abe’s secret battles against the vampire legions are revealed in this wild action fantasy. After Abe’s mother is attacked and killed, a man named Henry Sturges takes a young Abraham under his wing, revealing the perpetrator as a vampire who serves Adam, the first American vampire. Lincoln trains for years as both a politician and vampire hunter, but faces the toughest challenge of both careers, as Adam and his vampiric horde has aligned with Jefferson Davis and the Confederacy during the Civil War. Can the President unite the country, and save it from becoming one vampire nation, under Adam?